Want to keep your airplane, auto, boat or ATVs out of the weather? MountainAire Builders intends to construct aircraft hangars at Keyes Point. These hangars will be accessible by aircraft from the runway via taxiway or from the floatplane bay with our floatplane trailer. Various sizes and layouts available, built to suit your needs. We can also construct storage buildings intended for auto, boat or ATV storage. Hangars or storage building are available for purchase or lease. 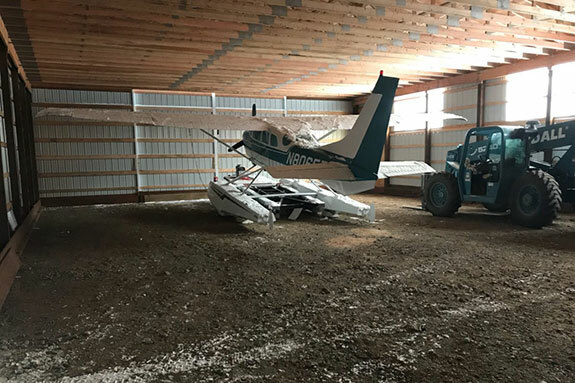 Please contact Shawn from the "Contact Us" page to discuss hangar or storage building options.